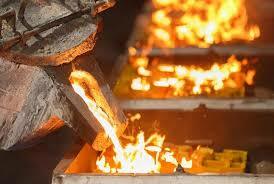 The Nigerian government has issued a gold refining licence to Kian Smith Limited to commence the refining of gold in the country. The Minister of Budget and National Planning, Sen. Udo Udoma, said in Abuja on Monday that the Federal Government would also commence the purchase of gold from local refiners. Speaking at the ongoing 24th Nigerian Economic Summit in Abuja, Udoma said: "As an outcome of the Economic Recovery and Growth Plan Focus Labs, we have also been able to accelerate the development of the National Gold Development Policy and the establishment of a Federal Gold Reserve Scheme in Nigeria. "Today, I am happy to report that the first gold refining licence has been issued to a company called Kian Smith Limited, which was one of the companies that participated in the labs. The report by Nigeria’s Punch newspaper on Tuesday quoted the minister as saying that this accelerated development of the National Gold Development Policy by the Ministry of Mines and Steel Development, and the progress recorded in implementing the Federal Gold Reserve Scheme by the Central Bank of Nigeria are direct solutions to issues presented by investors at the ERGP Focus Labs. Udoma added as part of the lab process, the government was able to assist Brass Fertiliser and Petrochemical Development Company in obtaining expedited issuance of various approvals that were required by its financiers from multiple government agencies. The minister stated that during the labs, investors interested in agriculture were assisted to obtain farming land from some state governments, adding that a local automobile assembly in Imo State, Autodex Limited was being supported to double its capacity for the production of farm tractors.